Do you have the urge to update fellow growers and producers on the happenings of your operation? Become a BigAg Reporter! It’s easy as can be – we just ask that you fill out a quick form and send us some shots and videos of the conditions you’re seeing and what your outlook will be. We ask that you do this every couple of weeks so that everyone checking in on what’s going on will have a recent update. The format is quick and easy- fill out the form and submit your pictures and videos. We’ll take it from there and share it on BigAg.com as well as across our social channels so make sure you like us on Facebook and follow us on Twitter and LinkedIn! 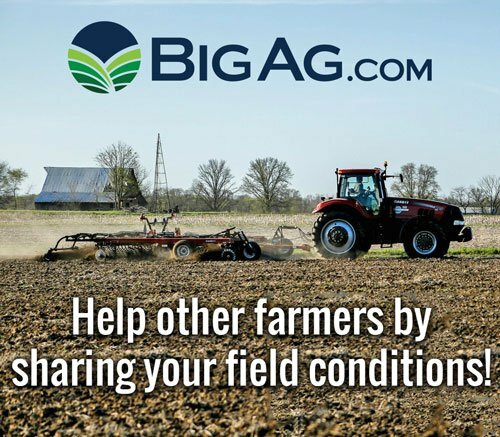 Submit your field report today by Clicking here.